Abacus is a Chinese tool which is widely used in place of calculator. It has upper beads and lower beads on the basis of which, calculations are done. 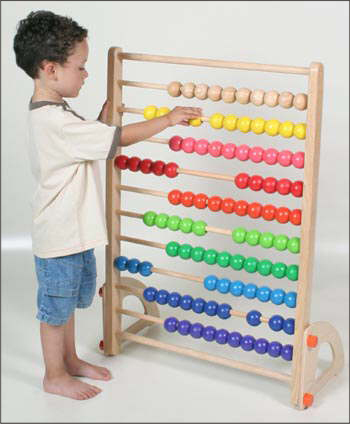 With practice and increase in efficiency, the physical abacus is dispensed and the kid start doing the calculations mentally. TecMaths helps students solve mathematical problems about 15 times faster. Aids intelligence level (Knowing the answer without solving the problem). It reduces burden on the student as he/she develops metal Calculation. TecMaths reduces finger counting & scratch work & improve mental calculation. Logical thinking process gets enhanced.